A Family Mission trip is scheduled for June 14 – 22, 2014. 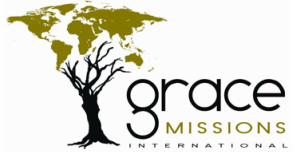 This trip will be provided and sponsored by Grace Missions International. Grace Community Church of Bartlesville is the coordinator of the activities which will consist of two daily VBS sessions for children, nightly Youth meetings, leading Praise and Worship, and providing two sessions daily for the Spiritual Renewal week for students and alumni. This will be a nine day trip. More information can be found under our Mission Trip tab. Full details will not be available until January 2014 when registration will begin. Costs will be available at that time but the cost is not anticipated to exceed $2,000 per person. If you are interested in this Family Mission trip, please fill out the Interest Sheet found under the Forms Tab of this Section and forward it to GMI. You can address questions to Steve Forman, the GCC Executive Pastor and coordinator of the trip, or to Contact Us on the GMI Home Page.